Take care of stumps and logs with Shaver's StumpBuster and log splitter products. Our American-made products are built-to-last, professional-duty pieces of equipment you'll use all over the farm or ranch. 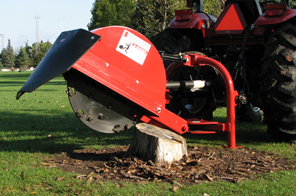 Shaver's StumpBuster tree stump cutters carve out a new niche for affordable stump grinding.